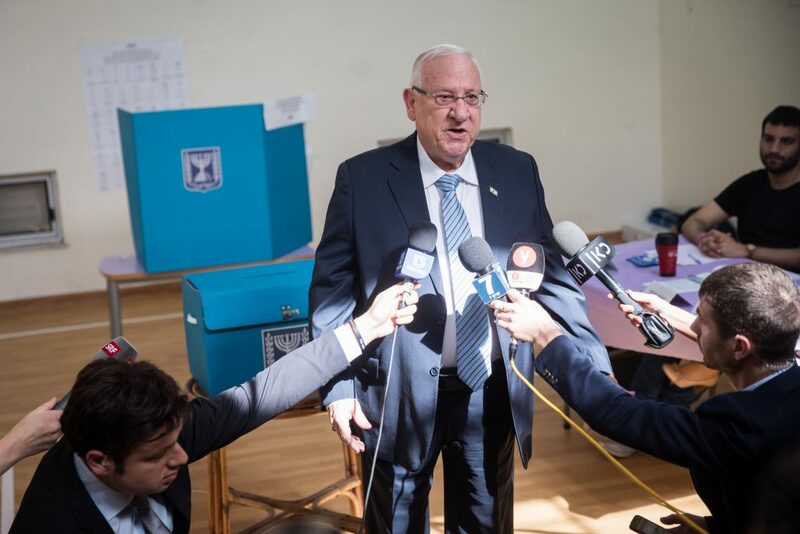 The post-election process of forming a new government, which includes consultations between the president and the heads of the political parties, will for the first time be conducted publicly, President Reuven Rivlin said on Wednesday. “In a historic and pioneering decision in the history of Beit HaNasi, the president announced that his meetings with the various factions will be broadcast live, on all platforms, in the name of transparency,” read a statement from Rivlin’s office. The announcement was made in conjunction with a presidential visit to the Central Elections Committee, the day after elections, as the last votes were being counted, mostly from IDF soldiers at bases around the country. The president spoke with the Chairman of the Central Elections Committee, Judge Hanan Melcer, and they agreed that& the multi-party consultations will begin next week at Beit HaNasi. According to custom, the president meets with representatives of the factions, hears their recommendations, and then announces which Knesset member will be entrusted with forming a government. Once the president has done this, the chosen MK has 28 days, according to the Basic Law. If required, the president is authorized to grant an extension of up to an additional 14 days.